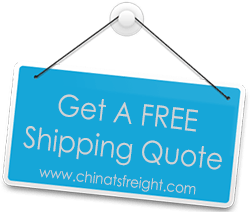 TS Freight is a China-based company with more than a decade of experience in International Container Shipping and in cargo Import from China to USA in particular. Our international carrier partners have helped us achieve a wide area of delivery coverage and we are also able to offer affordable prices to our customers because of our vast network. Businesses looking to import goods from China through us can source goods from most major cities in China including Shenzhen, Hong Kong, Shanghai, Tianjin, Chengdu, Wuhan, Hangzhou etc. The cities in the USA to which we dispatch goods sourced from China include major cities like New York, Boston, Philadelphia, Chicago in the east and north, Los Angeles, San Diego, San Francisco in the west, Houston, Florida, Memphis, El Paso in the south and others. Customers can choose air freight or ocean freight transport plans, depending on their requirements. Our clients in the USA have the best of our staff handling their goods, monitoring them when in transit, and reaching the cargos from source shipper to destination with the greatest efficiency. When a customer has hired our services, we take over all responsibility for the cargo. We make arrangements for cargo pickup at the source; we handle loading and uploading, packaging, cataloging and customs processes. Ground staff carefully monitor the goods at all stages of transit and regular reports are sent to the customers so that they may be at ease regarding their goods. We understand your time is precious and you have commitments that you must meet as well. This is why we send timely updates in case there have been changes in delivery times or price.